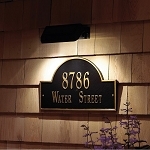 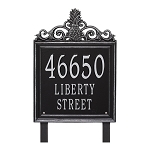 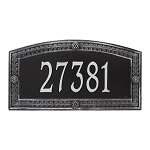 This distinctive address plaque has a great custom border and measures 16 x 8 (approximately). 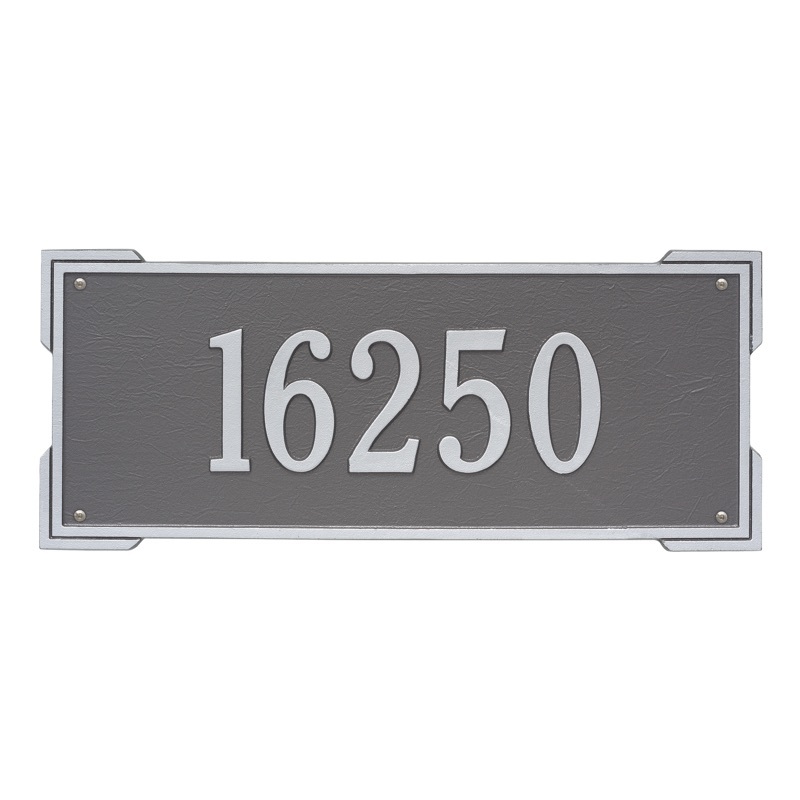 It is crafted from rust-free recycled aluminum. 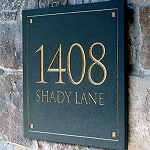 It is hand-finished with paints that have been specially formulated and weather tested to withstand the harshest elements.